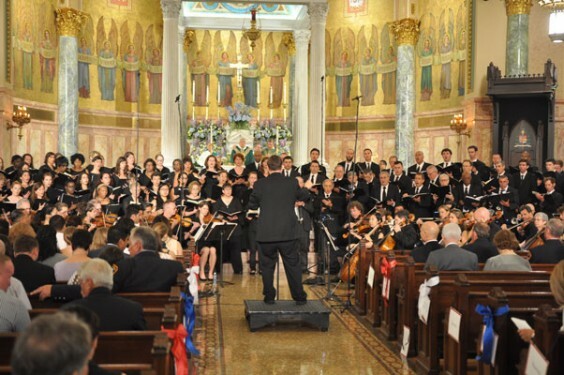 A full orchestra and chorus performed Mozart’s Requiem as part of a memorial liturgy at St. Joseph’s Co-Cathedral, Prospect Heights, on Sept. 11. 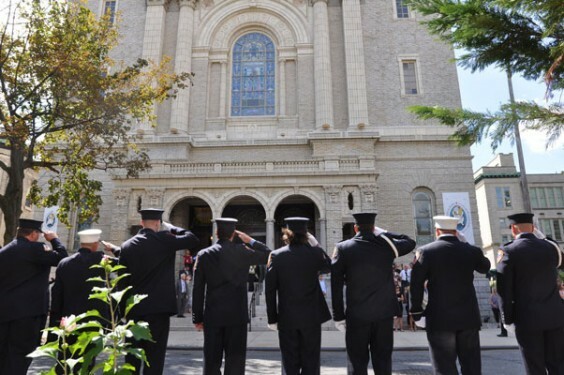 St. Joseph’s Co-Cathedral, Prospect Heights, reverberated with the sounds of the 18th century when Mozart’s Requiem was performed as part of a 9/11 remembrance liturgy. 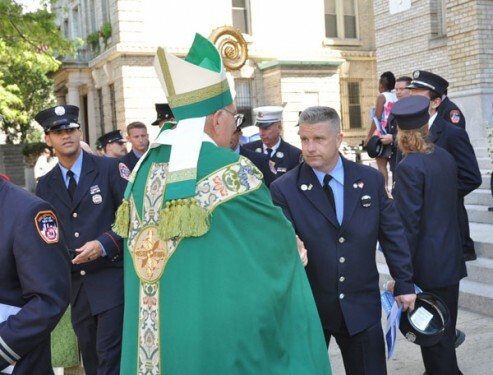 Bishop Nicholas DiMarzio was the main celebrant of the annual liturgy for the 23 members of FDNY Battalion 57 who died on Sept. 11, 2001 in the terrorists’ attacks on the World Trade Center. 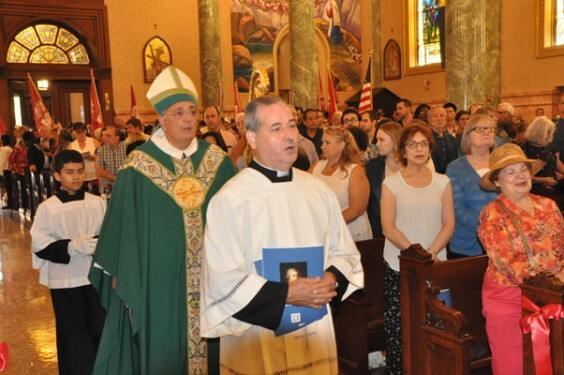 The two-and-a-half hour ceremony, concelebrated by Msgr. 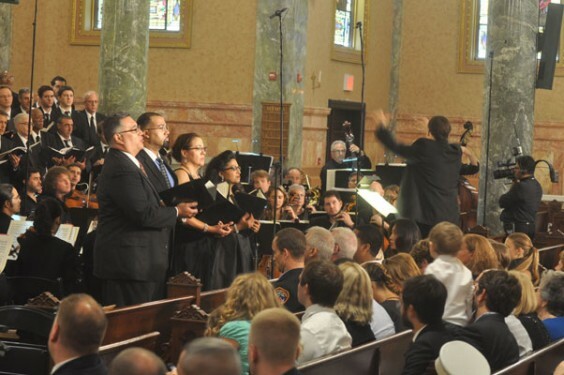 Kieran Harrington, rector of the co-cathedral, featured a 42-piece orchestra from the Foundation for the Revival of Classical Culture and an 80-voice Schiller Institute New York City Community Chorus. 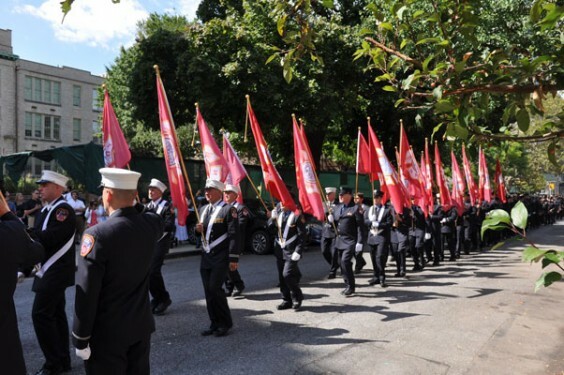 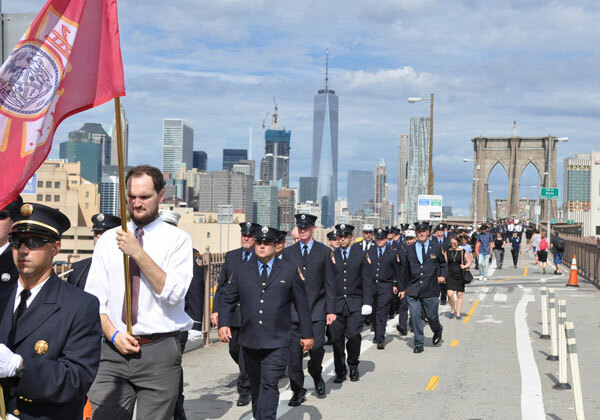 Prior to the Mass, members of the Battalion, which includes five engine companies and one ladder company in Brooklyn, marched from Ground Zero in Manhattan, over the Brooklyn Bridge, to St. Joseph’s Co-Cathedral, making stops at several firehouses along the way. 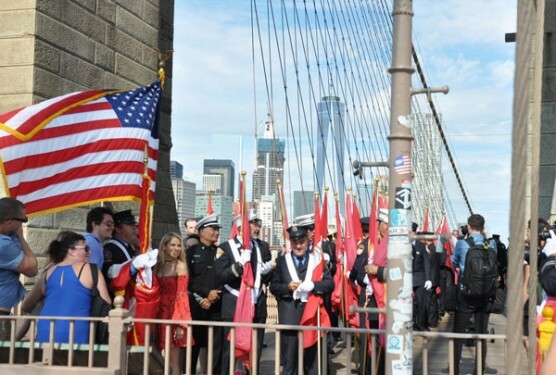 They carried FDNY flags, one for each of their fallen members. 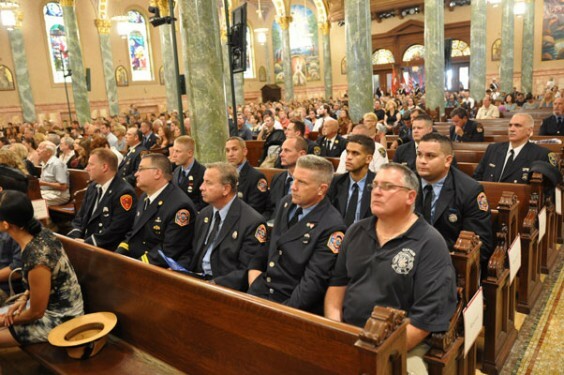 For the firefighters, the journey to Brooklyn served to symbolize to return home of their fallen comrades, said Firefighter Thomas Callahan, who delivered opening remarks at the church. 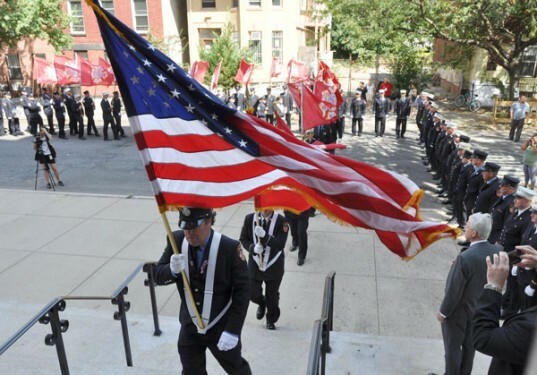 Once the procession reached St. Joseph’s, each name was read aloud as the flags were brought one-by-one into the church. 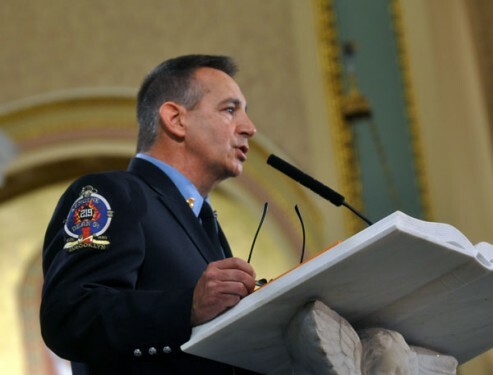 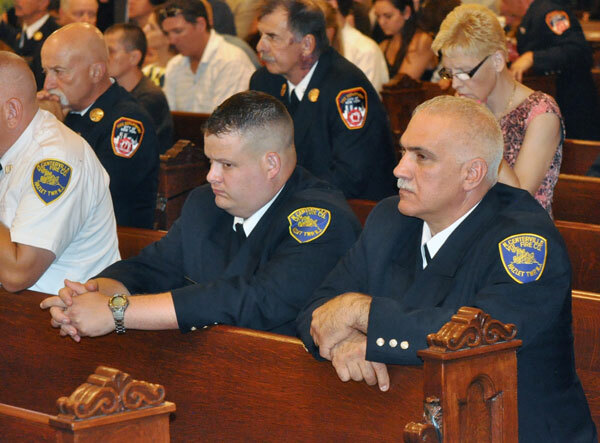 Retired Fire Commissioner Sal Cassano said that he had often wanted to attend this annual liturgy for the members of Battalion 57 but for various reasons could never make it. 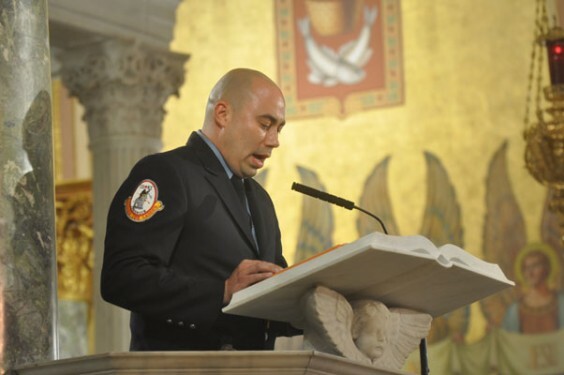 “Something drew me here today and I feel so honored to be here,” he said. 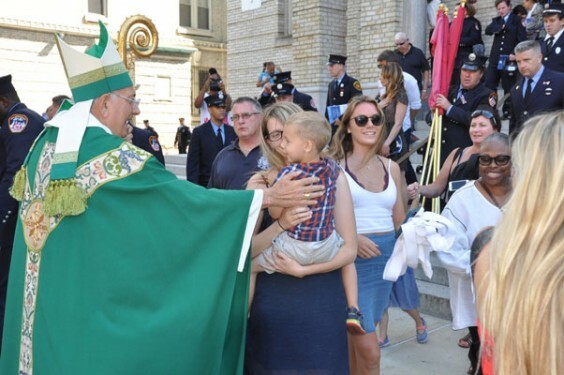 He called the Mass “a wonderful experience,” and said that it is a sign of what makes the country so great, that in places all across the nation these types of remembrances go on not only for the people who died during the attacks on America, but also for those who continue to die from illnesses suffered during the clean-up of the sites. 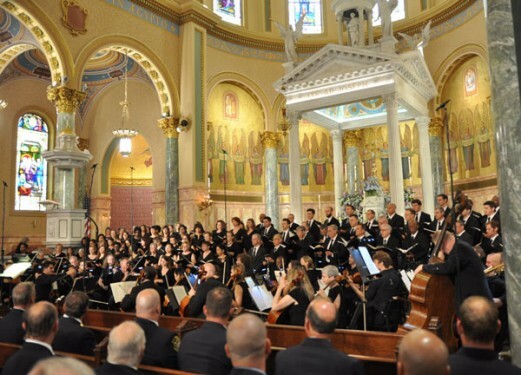 “To hear the Mozart Requiem at this pitch is to experience the transcendent power of sacred music – to experience the true glory of God and music,” said Lynn Yen, the executive director of the Foundation for the Revival of Classical Culture. 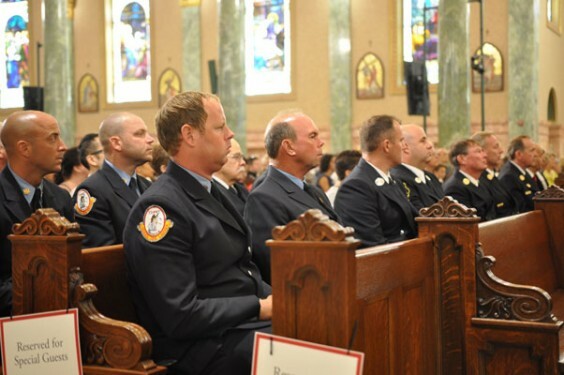 The production was directed by John Sigerson. 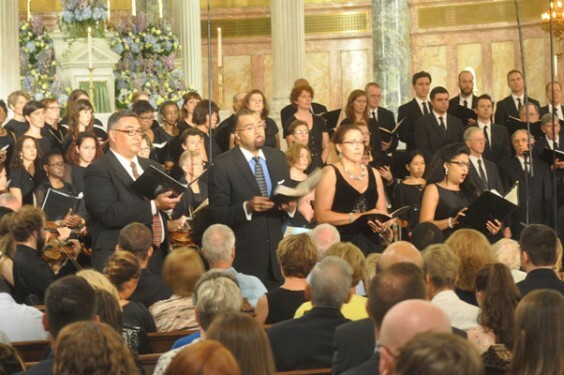 Guest soloists included Indira Mahajan, soprano; Mary Phillips, mezzo-soprano; Everett Suttle, tenor; Phillip Cutlip, baritone; and Kevin Thompson, bass. 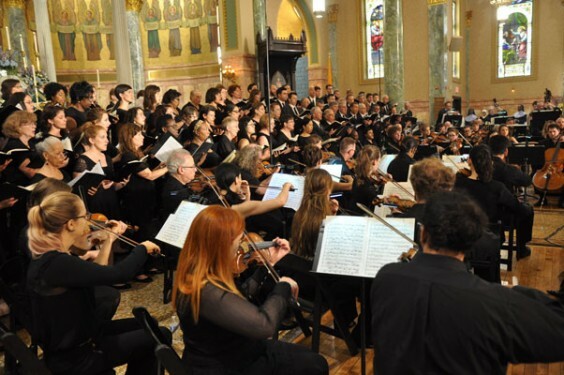 Mozart’s Requiem, rarely sung as part of a Mass, was performed in January, 1964, at Boston’s Cathedral of the Holy Cross, at the request of Jacqueline Kennedy, in memory of her husband, President John F. Kennedy, who had been slain two months earlier. 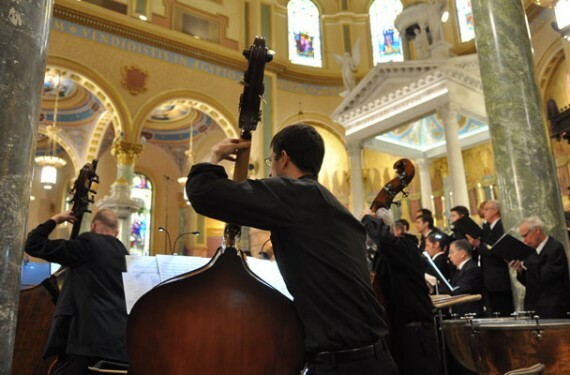 **Please note that the bass soloist for the Requiem was Jay Baylon, bass-baritone. Neither Philip Cutlip nor Kevin Thompson was on the September 11th program. 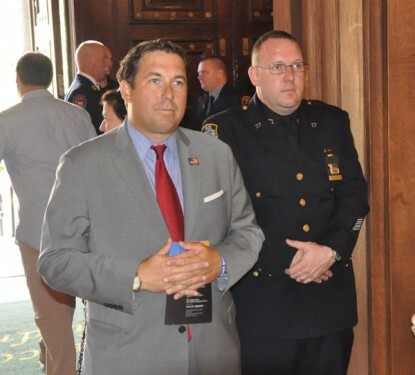 Thanks for your excellent coverage. 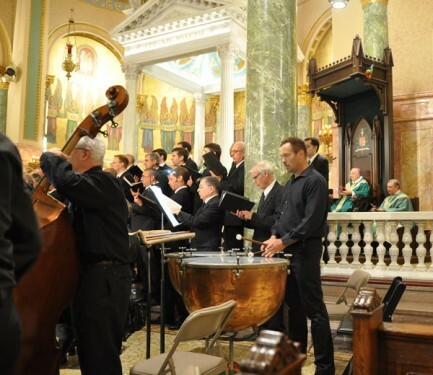 The members of the chorus were greatly inspired by the very beautiful Mass and we were honored to participate. 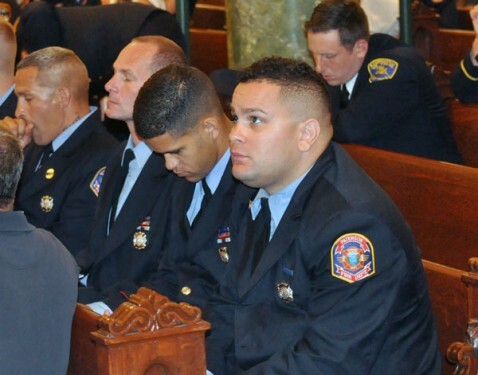 be posted for more people to listen? 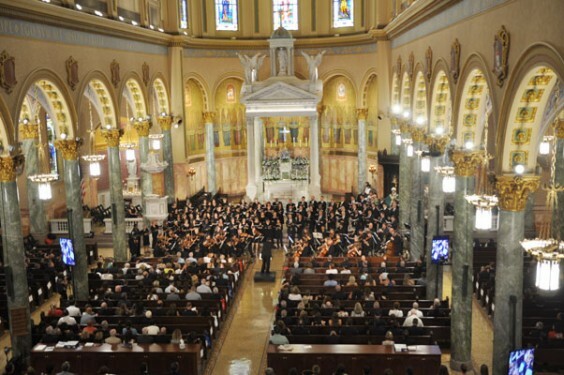 Thank you so much for inviting the Chorus and Orchestra to join in the Celebration of this Mass with the Requiem of Mozart. 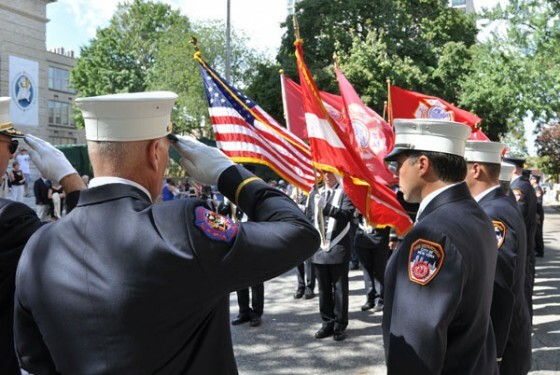 I cannot think of a more beautiful tribute to those who gave their lives that day, and those who continue to suffer the loss of health and life, as a result of their rescue and clean up efforts at the site. 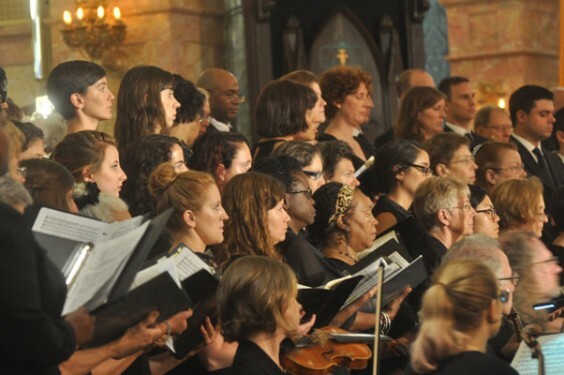 I think this Musical Tribute was a Sublime moment of Simultaneity of Eternity. 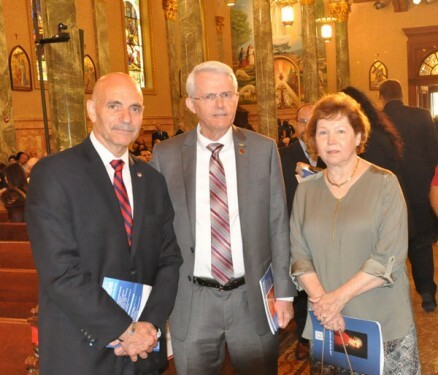 I do hope that a full recording will soon be available to those who were there, to savor and relive that experience, and also for the benefit of those who could not be there in person.